Juan Cabrillo and the corporation are off on another adventure, this time sees them in Asia. A good old fashioned good guy versus the bad guys with the villain being tough and not to be messed with. 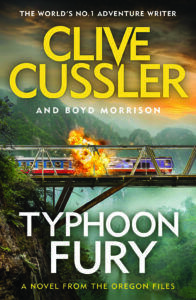 This is the 9th Oregon files book, those familiar with the series will know the nautical theme and James Bond type hero who always put to the test. It’s amazing how Jack Reacher just stumbles into crime. Reacher has always been a big guy, in this book he’s compared to big foot and the Incredible Hulk. Fists the size of whole chickens. 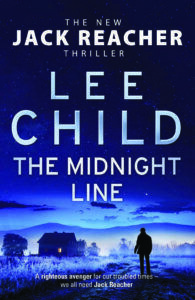 And that dry Lee Child wit that has me giggling from time to time. 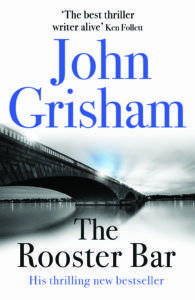 Good classic Reacher. Good read for the holidays. As always, another lawyer based novel, and as always with a twist. It takes a while to get going, like a roller coaster, but after halfway when it got going, it was fast paced and thrilling. So, don’t give up in the first half when you think this is going nowhere. Stick with it!